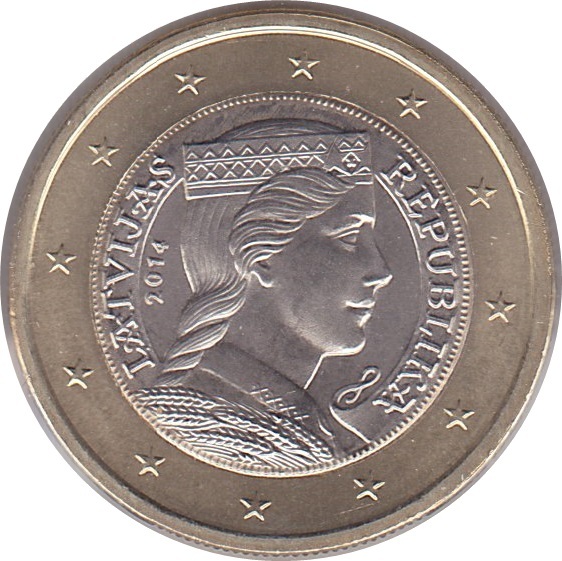 The obverse of the coin features the portrait of a Latvian folk-maid in profile, originally depicted on the reverse of the 5 lats silver coin in 1929. 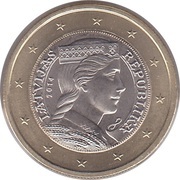 It is semi-encircled by the inscriptions LATVIJAS on the left and REPUBLIKA on the right. 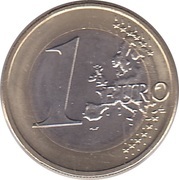 The coin's outer ring bears the 12 stars of the European Union. 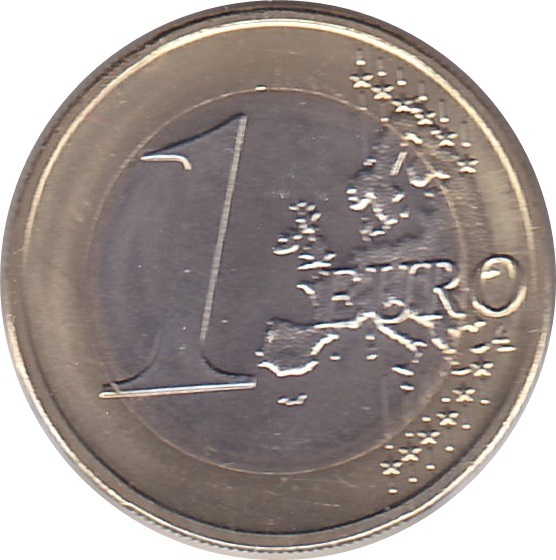 The reverse of the coin shows either the European Union before its enlargement on 1 May 2004, or, as of 1 January 2007, a geographical image of Europe; it also features the numeral 1 and the inscription EURO.